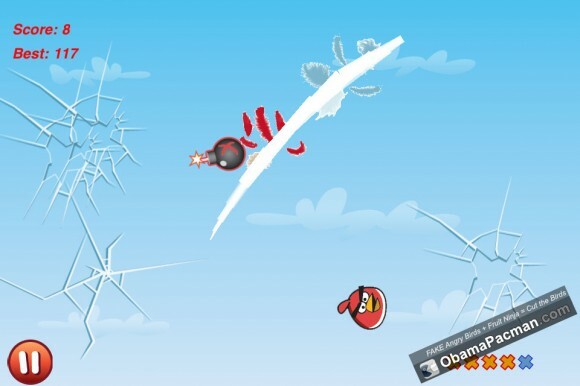 You are here: Home » iPhone » iPhone Apps » Fake Angry Birds + Fruit Ninja = Cut the Birds !? Fake Angry Birds + Fruit Ninja = Cut the Birds !? 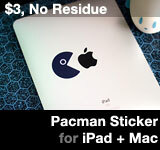 mashup got through the App Store approval process? It’s not often you see a cheap knock-off go after not one game, but two. The double knockoff was released on October 26, 2011 by SolverLabs LLC. Currently still available. Download the free Cut the Birds at: http://itunes.apple.com/us/app/cut-the-birds/id474242015?mt=8 It’ll be remove in hours. The idea has some potential, but not as an unlicensed product. So who is going to mashup Angry Birds with Cut the Rope? I call Om Nom. This entry was posted on Monday, October 31st, 2011 at 2:40 pm	and is filed under iPhone Apps. You can follow any responses to this entry through the RSS 2.0 feed.